Applications can be found at vbgov.com by searching “talent bank.” When completed, they can be emailed with supporting information to the clerk via abarnes@vbgov.com. So much of our government’s service and program delivery happens online nowadays that sites such as Canada.ca could almost be considered public spaces online. absolutely, a very good analogy! Gdańsk podążył za rekomendacją Marcina Gerwina i zdecydował się zwołać panel obywatelski. To dość radykalna metoda, bo panel nie jest ciałem konsultacyjnym, tylko decyzyjnym. Rekomendacje panelu, które zyskają poparcie 80 procent jego uczestników, stają się w Gdańsku obowiązujące. Do tego jeśli obywatele zbiorą 5 tys. podpisów, władze miasta mają obowiązek zorganizować panel na wskazany przez mieszkańców temat. Trudno o lepszy przykład obywatelskiego współwytwarzania polityki miejskiej. We must have an agency of the federal government to pMtett it. Is a federal government, and a federal government alone, enough to do such a thing? I mean, look at what happened to the Library of Alexandria. I still get pissed off thinking about that. And is it even a good idea in the first place to let them have that responsibility? I can't help but think of all of the instances in which governments have been directly responsible for mass destructions of literature. There's an entire Wikipedia page dedicated to historical book burning events, https://en.wikipedia.org/wiki/List_of_book-burning_incidents, and a large majority of these noteworthy burnings were done at the will of the government. What would happen if we were to give them too much agency in this matter? Is it a good idea for governments to have the final say in the well-being of our literature? How can we trust them to decide what is and isn't worth protecting? I tried to look up info for WA State at census.gov and found the site unavailable due to the shut down and no funding. It will be very difficult if the politics of this country eliminates our access to accurate data. Finally, 2011 seemed to herald the true beginning of a new era, with a transformed communication landscape. There are some commonly reported misconceptions about revolutions and coups, particularly with respect to military take overs of television and newspapers, that the average reader may wish to familiarize themselves with as they enter this area. One of the best resources I've seen for this is a recent recap by On The Media. peoples rising up and shaking off aging autocracies, modes of rule on which history had already seemingly rendered its verdict long before, seemed unstoppable, even irreversible. Hidden here, though I highly suspect she'll cover it later, there is a huge value to the building and maintenance of institutions with respect to government and building into the future. If there is a sector more ripe for the reinvigoration of antitrust regulation, I do not know it. But that state of consciousness that permits the growth of liberalism seems to stabilize in the way one would expect at the end of history if it is underwritten by the abundance of a modern free market economy. Here's a case where we ought to consider creating our bills and laws via version control, so we can see exactly who, what, and when things changed along the way. It might mean much less gets done, but there'd be a lot more transparency and accountability. Under late capital, the non-profit has been asked to take over the space of providing for community needs or supporting community interests that had formerly been occupied by the state as the entity responsible for the public welfare. Historians have given a lot of attention to the relationship between the federal and state governments. The states must comply with laws passed by the US Congress as long as the laws do not violate the U.S. Constitution. This is interesting; if these regulations are hurting government-owned broadband providers, what motivations might their "champions" have in advocating Title II implementation? The most lucrative and influential government positions involved tax collection. The Empire does not require that its servants love each other, merely that they perform their duty. Nationalism is a deathly effective tool for motivating and controlling an empire's officials. All sense of mercy and consideration for foreigners are replaced with frustration and paranoia due to the possibility of the aliens being enemies of the nation. Though the narrator clearly displays his reluctance of interrogating the prisoners, he knows that his duty as a government magistrate rises above all else and it is very intriguing to see his battle between his idealism and his obedient sense of duty. The struggle of many government workers has always been the decision between one's own sense of righteousness or the word of their superiors and what they decide depends on how far they've seen their peers push others in the name of the flag. Civic hackathons are spaces where the technological imagination and civic imagination collide and jostle as people collectively envision future technologies. Finally, I suggest three lessons drawn from civic hackathons to demonstrate the contradictory and even treacherous ways civic innovation produces ideas. In the conclusion I consider how we might read civic hackathons alongside other modern political formations. After all, civic hackathons are just one part in a larger formation of “open government” that prioritizes direct participation and institutional collaboration as a pathway to reform. Provides education, administrative support, and compliance information. Who we are The Alberta Energy Regulator ensures the safe, efficient, orderly, and environmentally responsible development of hydrocarbon resources over their entire life cycle. This includes allocating and conserving water resources, managing public lands, and protecting the environment while providing economic benefits for all Albertans. The Alberta Energy Regulator (AER) succeeds the Energy Resources Conservation Board and will take on regulatory functions from the Ministry of Environment and Sustainable Resource Development that relate to public lands, water, and the environment. In this way, the AER will provide full-lifecycle regulatory oversight of energy resource development in Alberta - from application and construction to abandonment and reclamation, and everything in between. For 75 years, Alberta’s oil and gas regulator has adapted to meet innovations in technology, new industry activity, and changing social expectations. The Alberta Energy Regulator builds on this foundation and prepares the province to take on the next era in energy regulation. What happens if Trump tries to fire Special Counsel Robert Mueller? James Burgh's Political Disquisitions was an early case for freedom of speech and universal suffrage. "Qualified voters" meant almost exclusively white men. As the former colonies began the process of writing state constitutions, debates over who should be included as a "qualified voter" often divided conventions. Vermont and Pennsylvania had two of the most liberal constitutions. Vermont permitted all men, regardless of color, to vote, while Pennsylvania permitted all white men to vote regardless of income. Other states, like Maryland, had much more restrictive qualifications for voting and required that free white men also hold property. Henry Pelham was a British politician, who served as Prime Minister of Great Britain from 1743 until his death in 1754. Sir William Meredith was a British politician, a member of the King's Privy Council. Also known as the Wars of the Roses. 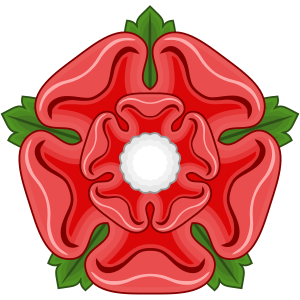 The House of York was represented by a white rose, and the House of Lancaster by a red rose. a king, worn out with age and infirmity, enters the last stage of hu- man weakness. This would later happen to George III, who suffered from mental illness later in his life. In 1810, a regency was established, and his son George, Prince of Wales (later George IV), ruled in his stead. 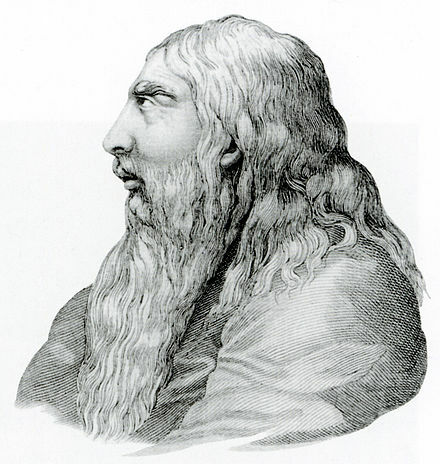 George III in later life, engraving by Henry Meyer. A minor can inherit the throne if they are the legitimate successor of the monarch. 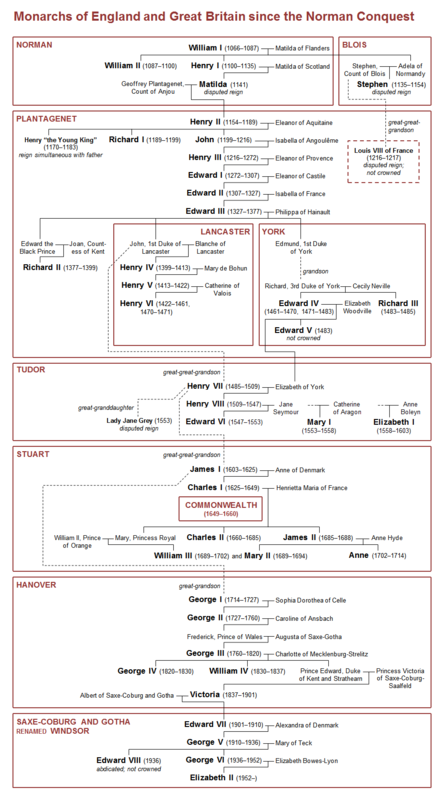 The English throne had been held by several minors, including Richard II, Edward V, Edward VI, and Lady Jane Grey. Having a minor on the throne meant the country was governed by a regent, and power struggles inevitably ensued. 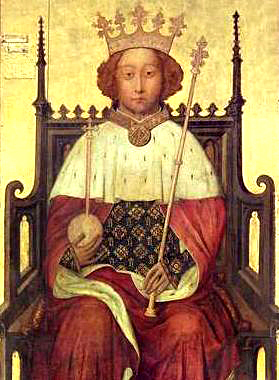 Richard II, who inherited the throne in 1377 at the age of 10. 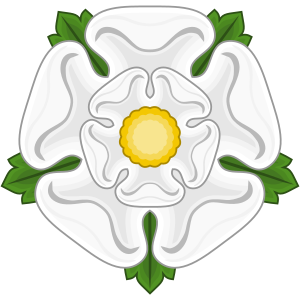 Popish is a (slightly derogatory) term for Catholics. Most Protestants believed that Catholicism was overly ritualistic to the point of idolatry and that the Pope was no better than a despot. To be under "Popish" rule was the worst fear of many Englishmen. The king of England at this time was George III, who ruled from 1760 until his death in 1820. The loose confederation of states that became modern Switzerland first formed at the end of the thirteenth century. In the eighteenth century, the confederacy was nominally a republic but was ruled by an oligarchic group of aristocrats. This is contradicted by other documents here. Among the manifestations of his diseased ambition was a fondness he had for receiving visits from certain ambiguous-looking fellows in seedy coats, whom he called his clients. Indeed I was aware that not only was he, at times, considerable of a ward-politician, but he occasionally did a little business at the Justices’ courts, and was not unknown on the steps of the Tombs. I have good reason to believe, however, that one individual who called upon him at my chambers, and who, with a grand air, he insisted was his client, was no other than a dun, and the alleged title-deed, a bill. The word "dun" is defiined as, "noun 2. a person, esp a hired agent, who importunes another for the payment of a debt<br> Melville relates how the business, legal, and government worlds of Wall Street are combined within the character of Nippers, as he seemed to have been involved in Wall Street politics that incurred debts to be paid. This mingles with Thoreau's idea of government as a legally binding, debt-incurring instrument. Congresswoman Maxine Waters (D-CA), Ranking Member of the House Committee on Financial Services, launched a new webpage dedicated to tracking President Trump’s destructive actions against consumers, investors, and the economy. The Department of Indian Affairs and Northern Development, or DIAND, is now referred to as Indigenous and Northern Affairs Canada, or INAC. Under the Federal Identity Program, INAC is a department of the Canadian Government in charge of policies relating to the indigenous peoples of Canada. This includes the First Nation, the Inuit and the Métis. INAC's responsibilities and actions are largely determined by careful negotiations and legal action, while fulfilling the government's constitutional obligations in the North. Some of their obligations include, improving social well-being and economic growth, developing healthier more sustainable communities and environments, and to continue to care for the North and its development for the betterment of all Canadians. Through the Government of Canada and the Indian Act, INAC works to provide support to reserves in areas of education, housing, community infrastructure and social prosperity. Government of Canada; Indigenous and Northern Affairs Canada; Communications Branch. "About Indigenous and Northern Affairs Canada." N.p. Interesting that government was expected to have a religious aspect. Whereas, today people hate that politicians use God's time to justify their choices. women — who are still left out of history. Women are not put in history. not then and still not today. black women are being erased from the discussion. Race in general plays a role on how much a topic is spoken about. This case was not even mentioned or discussed until black women started the talk. What does this say about the institution? Government? What does this say about social media? who is really to blame? What does this say about the institution? Government? What does this say about social media? Where is the Judicial Branch? Here are the 3 Branches of Government: https://www.usa.gov/branches-of-government. Open Educational Resources: Is the federal government overstepping its role? These descriptions show that imperialism is mainly the government’s interest but not the people’s. This can also be compared with the more recent, although dated, Vietnam War in which the citizen of the U.S. were opposed, but the government was interested. It's my firm belief that "big" vs "small" government is a juvenile argument. It's much more productive to ask what things government does well and what things it doesn't. Make it as large as necessary to handle the things it does well. While a statement like "I don't like big government" basically renders this person's politics dismally weak to me, I'll try to read the rest of the article anyway. Some members of UK Parliament think it's a fine idea to spend thousands of pounds of public funds on portraits of themselves. Missouri’s legislature, noting excessive reliance on traffic tickets, put a low cap on the portion a community could raise of its budget from this source. So now 40 percent of Pagedale’s tickets are for non-traffic offenses. Since 2010, such tickets have increased 495 percent. In 2013, the city collected $356,601 in fines and fees. https://www.fbo.gov/ (Federal Business Opportunities) is the hub for all US government contracting documents, including RFPs (Requests for Proposals), RFIs (Requests for Information), and announcements of awarded contracts. This EFF page explains how this site is a good tool for journalists. This is a sample annotation. Signs of rebellion are everywhere: the unrest in China and India is chronic, civil wars rage in Africa, Latin America is in ferment. The two paragraphs that follow are spot on. Nerds think government doesn't do anything right and they see government as this monolith thing apart from themselves rather than something they can and should work to affect, rather than circumvent. One thing I got out of reading Graeber's "Democracy Project" was the idea that it is not rational people that inhabit the middle of the political spectrum. Most people are more radical than the media makes it seem. The media reinforces the narrative that if you hold strong political opinions you are a radical. Your neighbors think you're crazy. You should probably just follow the herd, more. While there are definitely fundamentalists at the political extremes, there are also great thinkers. These are all things that are still very relevant to countries and societies around the world. Our government is at a standstill right now because they cannot deliberate and come to an agreement. Practice of government equals end results. The forms of government are four -- democracy, oligarchy, aristocracy, monarchy. The supreme right to judge and decide always rests, therefore, with either a part or the whole of one or other of these governing powers. Four forms of government. Judgement lies with government. We shall learn the qualities of governments in the same way as we learn the qualities of individuals, since they are revealed in their deliberate acts of choice; and these are determined by the end that inspires them. Qualities of governments and qualities of the individual. The political speaker will find his powers of persuasion most of all enhanced by a knowledge of the four sorts of government -- democracy, oligarchy, aristocracy, monarchy, and their characteristic customs, institutions, and interests. Definition of the four sorts severally. Ends of each. Knowledge of government: tenants of political persuasion.